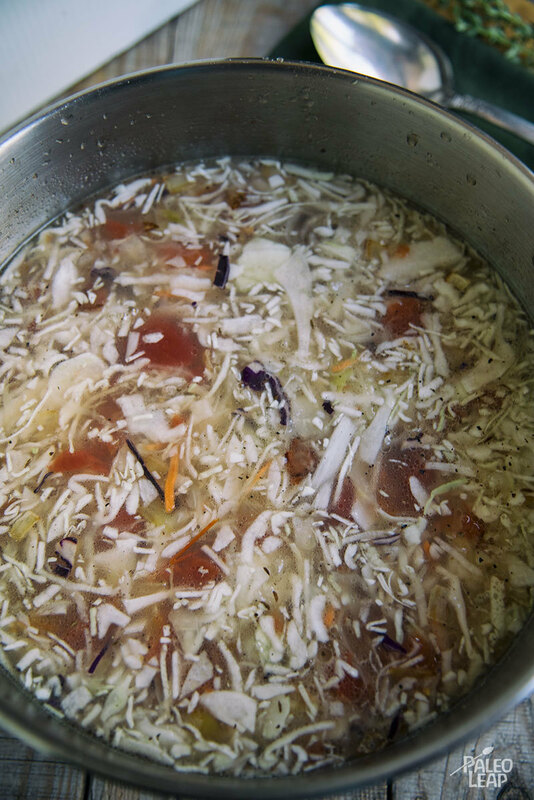 Polish cabbage soup — reminiscent of the Polish soup called kapusniak — is traditionally made to be Paleo-friendly. While there are hundreds of variations of this soup, it’s base is made of pork, diced potatoes, carrots, various cabbages, tomatoes and spices. 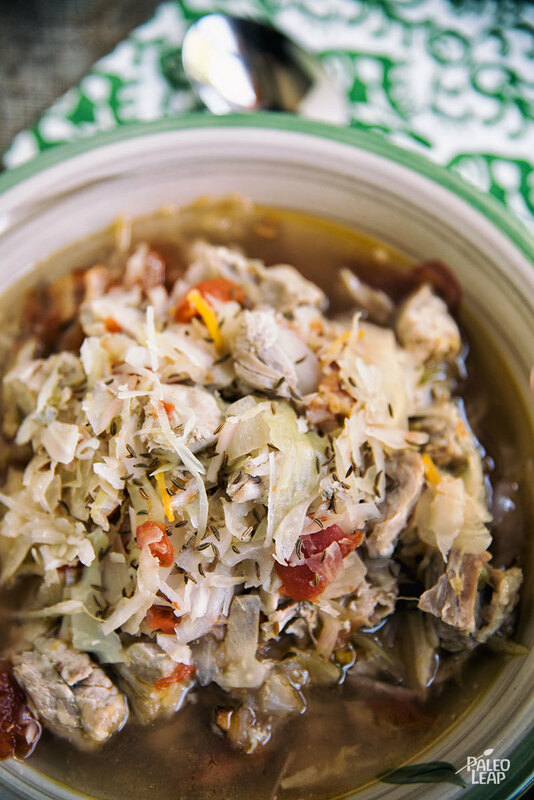 The stand out ingredients of this dish are the cabbage and sauerkraut. Kraut gives this dish a slightly sour taste which pairs well with the salty, savory flavors of pork. You can make your own sauerkraut at home, or spend a bit more money and buy it at the grocery store. Bubbies makes a great sauerkraut that is available at most health food stores. Many traditional Polish cabbage soup recipes call for the use of kielbasa or other types of smoked Polish pork sausages, however pork ribs are generally less expensive and tasty, too! Serve this recipe on it’s own and enjoy a warm, filling bowl of this national Polish treasure. You’ll probably have leftovers, so enjoy this later in the week, too! Place the pork ribs in a saucepan and fill with water. Bring to a boil uncovered, lower to a fast simmer and cook for 40 to 45 minutes. Remove the pork, drain the water, let cool, and remove the meat from the bone. In a saucepan, melt some cooking fat over medium-high heat; add the onion and garlic, and cook for 2 to 3 minutes. Add the cabbage, sauerkraut, carrots, and potatoes. Stir well and cook for 2 to 3 minutes. Add the diced tomatoes, stock, caraway seeds, pork meat and season to taste. Bring to a boil, lower heat, and simmer for 10 to 12 minutes. Add the bacon, toss everything, and seasoning as needed.